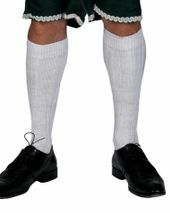 Available Sizes/Colors: Size "One Size Plus"
Be the most happening dude at the Continental Congress in this stylish plus size men's colonial costume! 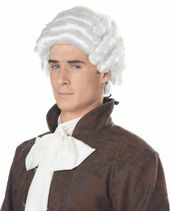 Great for George Washington, Thomas Jefferson, John Hancock, or Louis XVI, this adult 18th century style costume includes long royal blue coat with gold trim, tan vest front with attached white jabot collar and ties in the back, and beige knicker pants with elastic at the knees. Boots and wig not included.